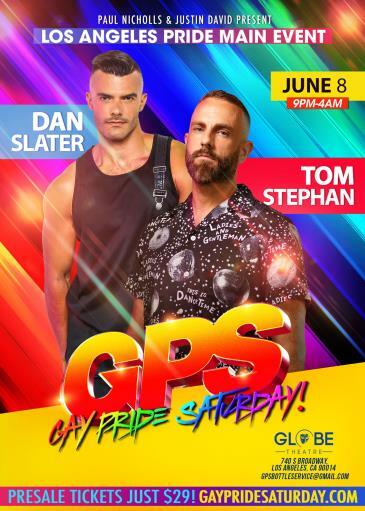 DJS DAN SLATER & TOM STEPHAN, THE GPS DANCERS + SURPRISE PERFORMERS, UNFORGETTABLE PRODUCTION & SHOWS! Support your GPS (Gay Pride Saturday!) 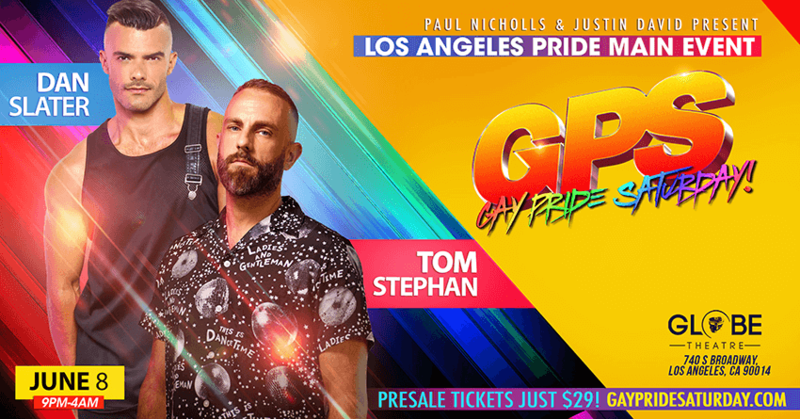 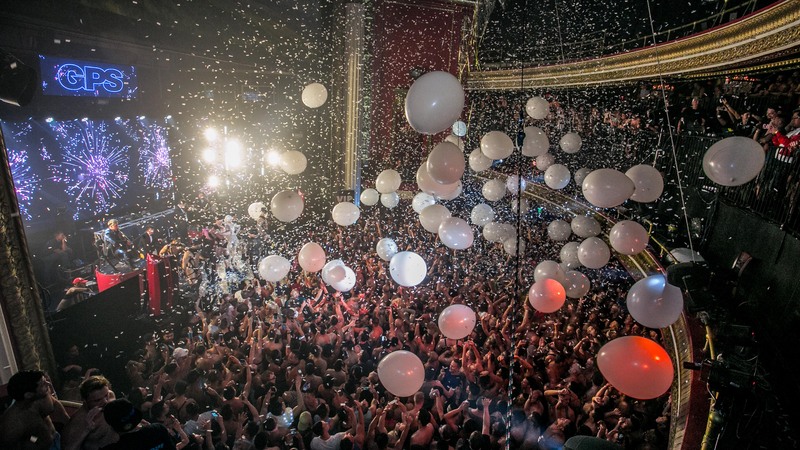 - Upgrade to our Special Enhanced VIP for just $20 & get VIP Express Entry, Balcony VIP Area with VIP Bar & Premium Snacks + Private VIP Backstage Restrooms & More!